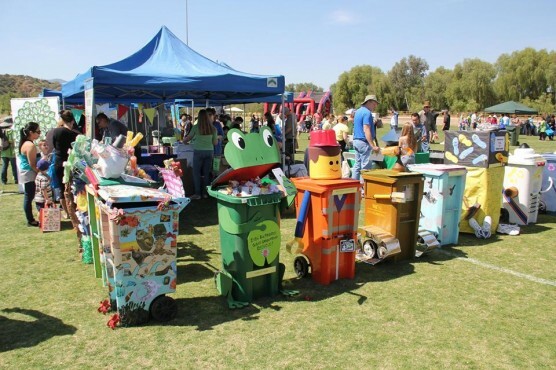 The popular cArt aRT Contest will be returning to the City of Santa Clarita’s free Earth Arbor Day Festival on Saturday, April 27, from 10:00 a.m. to 5:00 p.m. The cArt aRT Contest is an art competition where participants use recycled materials and craft supplies to transform ordinary trash carts into remarkable pieces of art. Individuals interested in participating must fill out an application form and reserve their trash cart by April 17. Interested participants must fill out an application form available online at GreenSantaClarita.com/EarthArborDay and reserve their trash cart with Laura Jardine at (661)255-4376 or ljardine@santa-clarita.com by April 17. Entries must be brought to the Environmental Services booth at Central Park on April 27, from 9:00 a.m. to 10:00 a.m. Entries will be judged the same day and winners will be notified the following week with cash prizes.